JEFFERSON CITY, Mo. - New Haven defeats Calvary Lutheran in straight sets 25-9,25-16 to win Class 1 District 9 Championship. New Haven will host State Sectionals/Quarterfinals and will play Liberal at 3 p.m. on Saturday. KRAKOW, Mo. 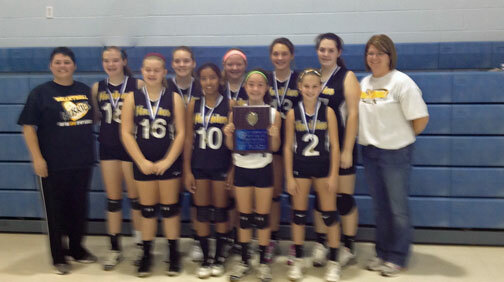 - Saturday afternoon Franklin County R-II’s 8th grade volleyball team took first place in the St. Gertrude’s 8th Grade Girls Volleyball Tournament. 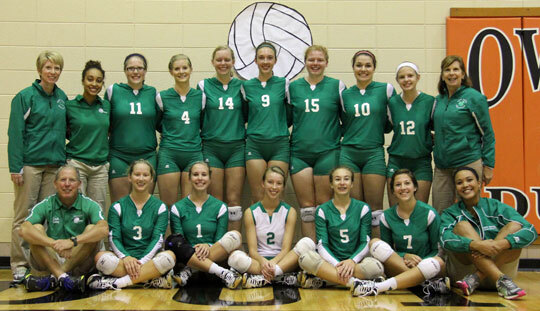 Pictured: The 2014 Four Rivers Conference Volleyball Champions. OWENSVILLE, Mo. 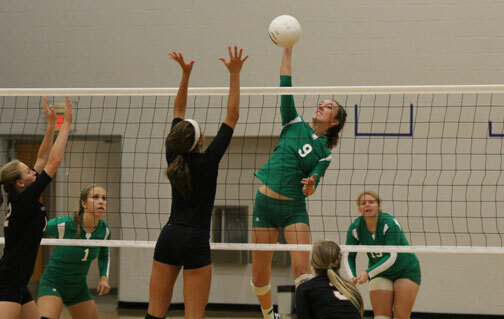 - Tuesday night New Haven’s perfect record in conference play remained in tacked after knocking off Owensville in straight sets (25-3, 25-16) to win the Four Rivers Conference for first time since 2005. 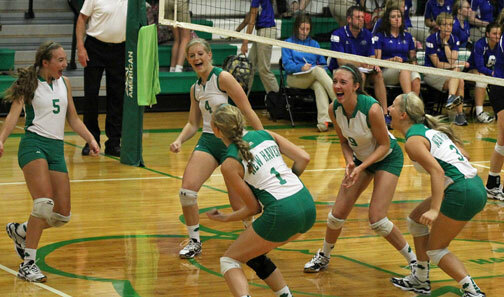 New Haven not only went undefeated (7-0) but did so without dropping a single set in their seven conference matches. #1 ranked in Class 1 New Haven fell short to #3 Class 2 Ranked Fatima in a three set nail bitter. The last time New Haven won more than 25 games was in 2005 when they not only went undefeated in conference but also end the season with a Class 1 State Championship. --With New Haven’s win over St. Clair Thursday night (25-21, 25-20) they improve to 26-4 and remain a perfect 6-0 in conference play. 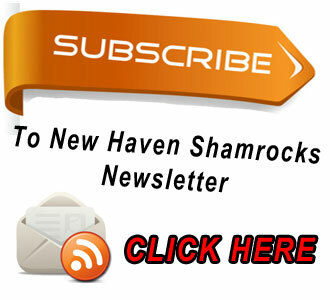 Thursday night’s win also guarantees the Shamrocks a share of the Four Rivers Conference Title and will have a chance to win the conference outright for the first time since 2005. Whether it is their calm demeanor or unwavering desire to win, there is something special about this year’s volleyball team and while their season is far from over it’s worth pointing out what they are capable of accomplishing. New Haven falls to Borgia in two sets in the Hermann Volleyball Tournament Championship Game. This was the first time New Haven played in championship game since 1992. Games broadcasted will be available to watch tomorrow. Click here to watch the semifinal match between New Haven and Washington. HERMANN, Mo. - New Haven improves to 20-3 on the year following their three wins in Tuesday night’s pool play of the Hermann Tournament. With New Haven winning all three games they will get the number one seed in their pool and will play Washington in Thursday night’s semifinals, who finished second in pool A behind Borgia. Game time is set for 6 p.m.